We all know the viral video side of pop culture, crowdsourcing. Just this week I have watched two of my favorite viral videos for the umpteenth time – the one of the dogs whining over the cats who have taken over their beds, and the one that differentiates between the loving way the mother dog coaxes her puppy down the stairs, to the “sink or swim” attitude of the mother cat who simply bats her kitten down the stairs. Both never fail to make me laugh out loud. But can this type of viral audience-gathering be used for something more? I believe so. A conference on “Crowdsourcing for Politics and Policy” was held this fall at Oxford. It examined ways in which crowdsourcing is changing politics by encouraging citizen participation and online collective action. Another area of study is the “co-production and co-creation of public policy” by utilizing feedback, rating, ranking and reputation applications, and the potential of crowdsourcing for conflict management, peace building, humanitarian intervention and crisis mapping. And as with anything involving mass collections of individuals and data, there must be some level of discussion of ethical concerns. Finally, the conference examined the dark side of crowdsourcing, “when crowds turn into mobs,” such as online hate groups and organized cyberbullying. But how might crowdsourcing be a tool for building community in the public square? Ultimately, at least for now, it is unlikely that any one engagement method is going to work for all people, at least not until we are sure that everyone is connected online. While many claim the large numbers of individuals who now have access to the Internet, access does not equate engagement. There are certainly hybrid methods for having some face-to-face opportunities, as well as some online opportunities, and some combination of the two. I recently uncovered a fascinating example of crowdsourced democracy in action. Although they were ultimately not successful (and there are important lessons to be learned about the likely why not), it is still a great study of the potential that exists. In case you are not familiar with what occurred in Iceland, here is the best I have pieced together so far. After the banking system collapsed in 2008, there was an overwhelming public response demanding the resignation of all government leaders and calling for a new constitution that would prohibit big business interests. – Our states: An example is a MindMixer called “Engage” being done by the City of Orlando to get citizen input on policy issues. – Our cities: A crowdsourced Survey Monkey being done by the City of Summerville to get citizen rankings on “what is important to me” issues, or participatory budgeting processes being incorporated in cities like Vallejo, California. 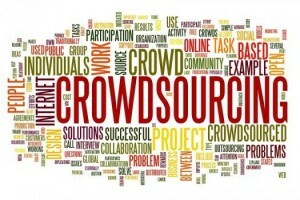 Crowdsourcing is a great way to get public input on projects and policies, and perhaps ultimately, on a bigger scale. There is a missing link here, however, and it goes back to the blog I referenced earlier in this post – Andy Williams said the first step to crowdsourcing policy is building a crowd. Is our crowd the right crowd? Is the squeaky wheel getting the grease? The only time most Americans vote is for the presidential election (and even then, only 57.5 percent of eligible voters voted in the most recent election). That’s 93 million eligible voters who did not vote. That does not include the ones who are not even registered. The statistics for midyear or local elections are even worse. Are we doing a lot of work to develop crowdsourcing when people do not care anyway? Or does it just appear that they do not care, because they do not feel their vote counts? Are we teaching any type of civic responsibility to our children? The time is ripe for civic renewal in this country, and perhaps crowdsourcing might just be the way to do it, especially reaching individuals in the digital world they know. Author: Tammy Esteves is an assistant professor at Troy University. She can be reached at [email protected] or http://tammyesteves.me.